Unfortunately, like a lot of Zombicide backers, we still haven't received our pledge package yet. 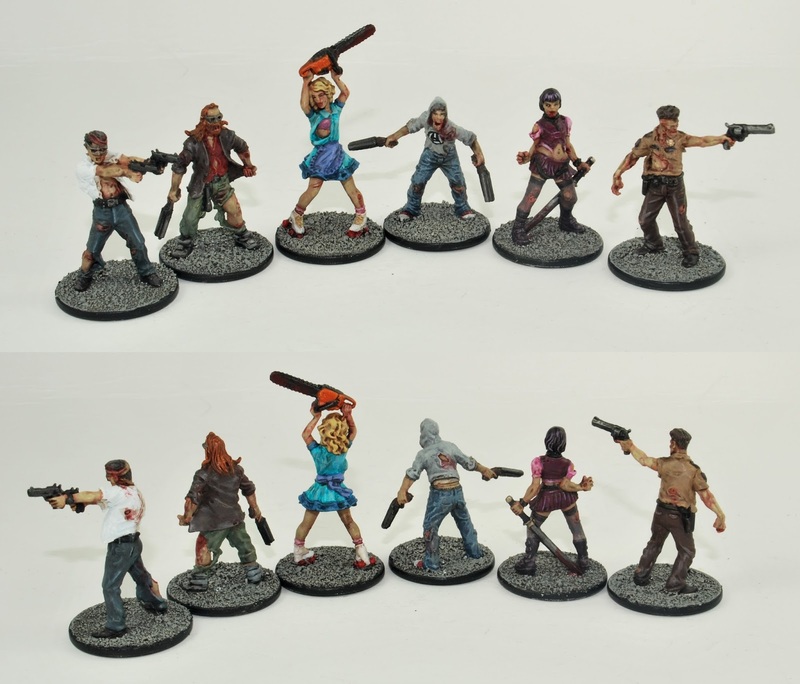 However, one of lucky clients in the UK did receive Toxic City Mall and sent them straight over to be painted. And here they are all completed! We went with a bright green "toxic" effect for the zombies which is quite distinctive and lends well to the theme of the new expansion. 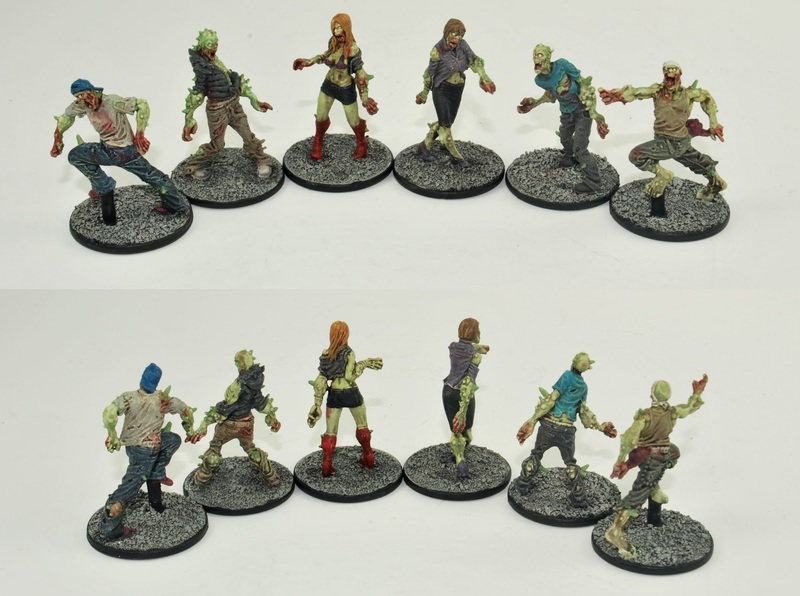 They'll be no worries trying to tell the normal painted zombies and these new ones apart! For the Survivors, it was business as usual - make them look good and grungy! And if they were of the female variety, hand them over to the wife so she can do her finishing touches on their faces. Seriously I don't get how she can do the make-up so well. The treatment for the Zombivors was much of the same, except add in some more gruesome blood effects and give them a deranged look in their eyes. Chaos Space Marine Terminators with bunny ears! 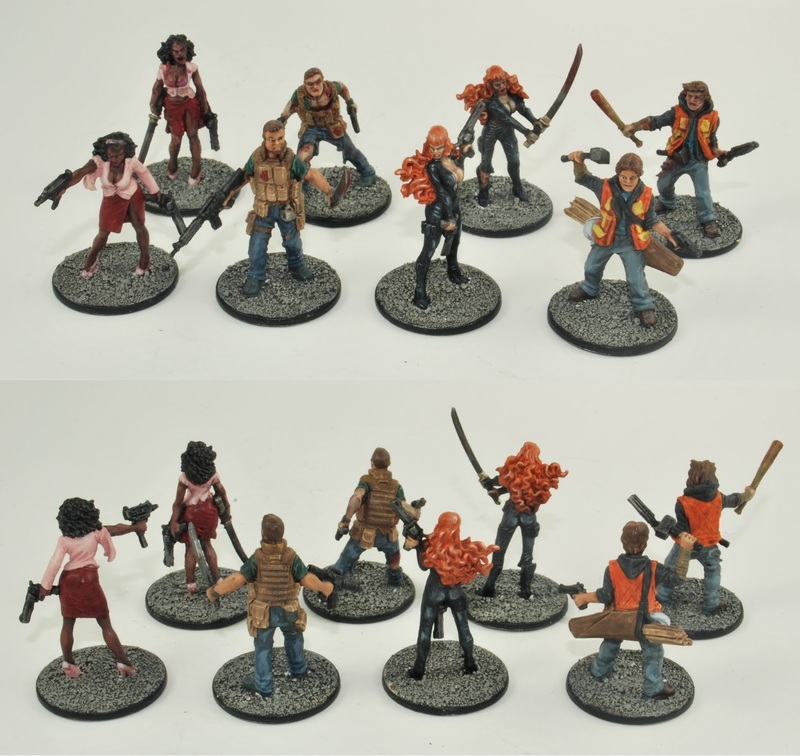 Zombicide: TCM - up close!